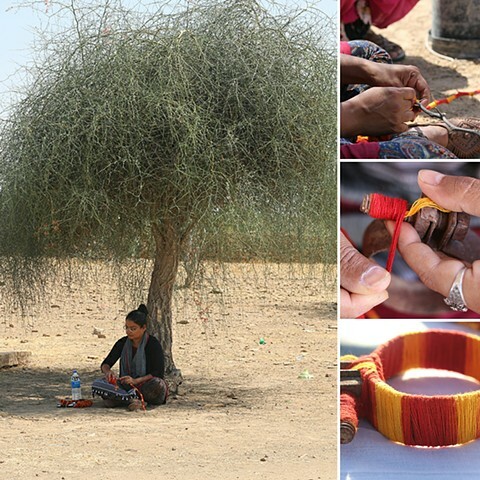 Arte-fact, was conceived and executed at a sowing seed residency 2018 at Kallron Ki Dhani, a Village close to Jaisalmer, Rajasthan. 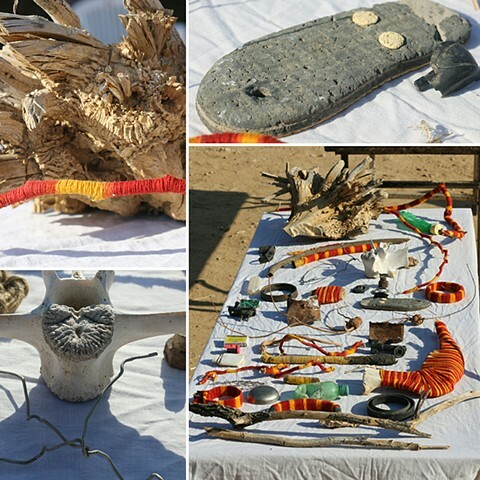 The Arte-fact brought together a collection of handpicked organic and man-made objects from my everyday walk at Kallron Ki Dhani, a Village close to Jaisalmer, Rajasthan. The objects signified the identity of the place along with the traces of the modern “progressive” livelihood/development. These artifacts provide evidence for our changing landscape and nature; and found mass-produced objects reflect on our contemporary society and popular culture. 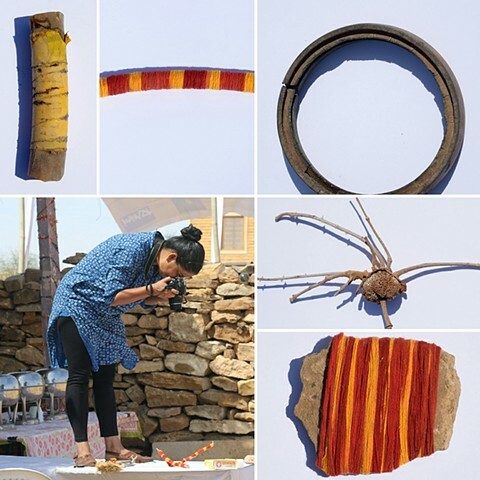 The intention is to reflect on our current conditions with the help of these artifacts while observing these (lost and forgotten) founds objects which were systematically collected, cleaned, organized, decorated, celebrated and displayed. 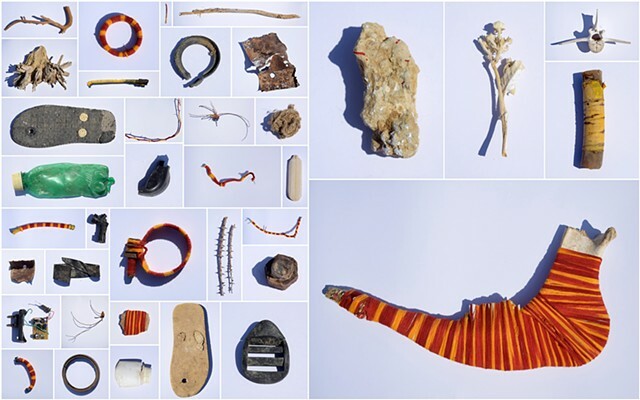 Found, altered and transformed - Humans alter and transform their surroundings, environment, and nature not only for (co) habitation but also for its selfish destruction. The process of “Found, altered and transformed” will also be the same, which needs to be practiced, to preserve our environment, surroundings and nature for generations to come. 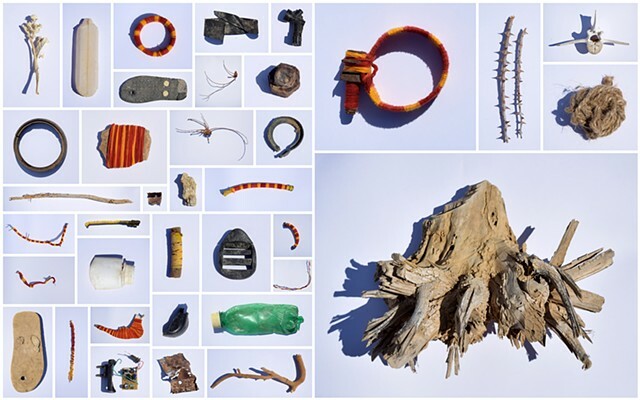 The project is an exploration to addressed and reinforced the ideas related to recycling, repurposing and redefining the role of the material, objects, fundamentally our way of thinking. Being sensitive to the environment and our surroundings. 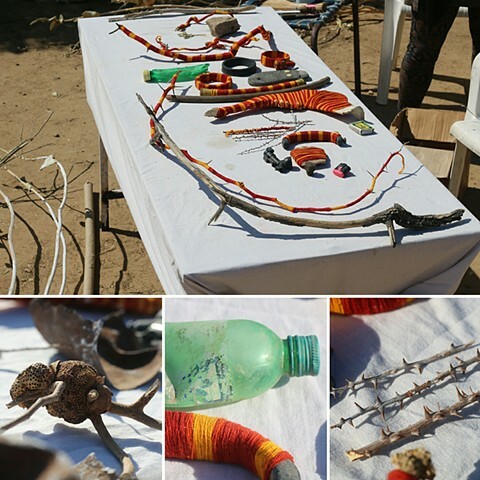 Transforming and making with local found objects/ materials to engage with a collective dialogue of issues related to wastage and recycling, handmade versus manmade; preservation and progress were explored. The project also addressed the social, cultural and economical shifts our communities and our landscapes are facing and want to emphasize and celebrate our (re) connection with nature using natural or found materials.